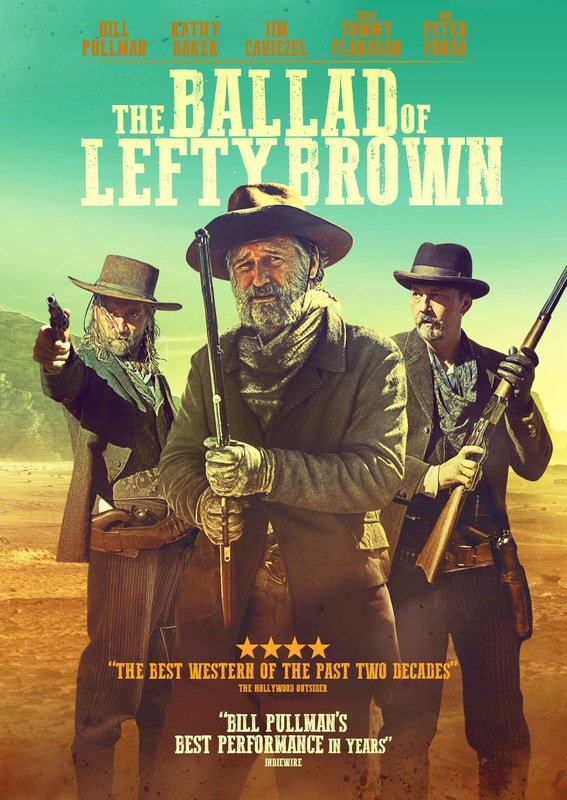 Lefty Brown (Bill Pullman) is a 63-year-old sidekick. Loyal, crotchety and rarely taken seriously, he’s ridden with Western legend Eddie Johnson (Peter Fonda) for his entire adult life. Now Johnson has been appointed Senator of Montana, and despite the objections of his spirited wife Laura (Kathy Baker), he plans to leave Lefty in charge of his ranch. But when a rustler (Joe Anderson) kills Johnson, Lefty is forced from his partner’s shadow. Devastated by guilt, he sets out on a journey that will reunite him with old friends US Marshall Tom Harrah (Tommy Flanagan) and Montana Governor James Bierce (Jim Caviezel) as he confronts the ugly realities of frontier justice. Written and Directed by Jared Moshe. Pullman leads a cast that also includes Kathy Baker (Edward Scissorhands), Jim Caviezel (The Passion of the Christ), Joe Anderson (Across the Universe), Diego Josef (Goliath), Tommy Flanagan (Sons of Anarchy) and Peter Fonda.